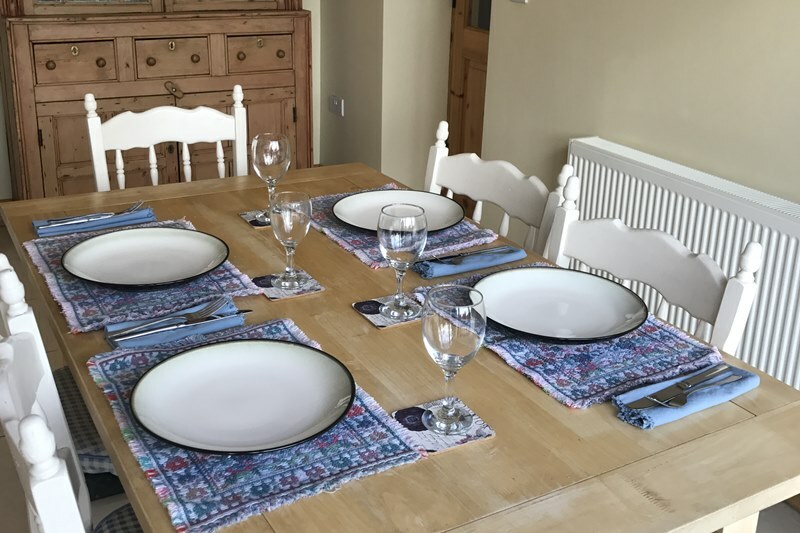 Enjoy luxury self-catering accommodation in a beautifully restored 19th century lodge. Ballyblood, situated in Tulla, Co.Clare - the town of O'Blood, anciently a family who owned all the district around this place, the family were then called Blood but with no relationship with the English word blood. 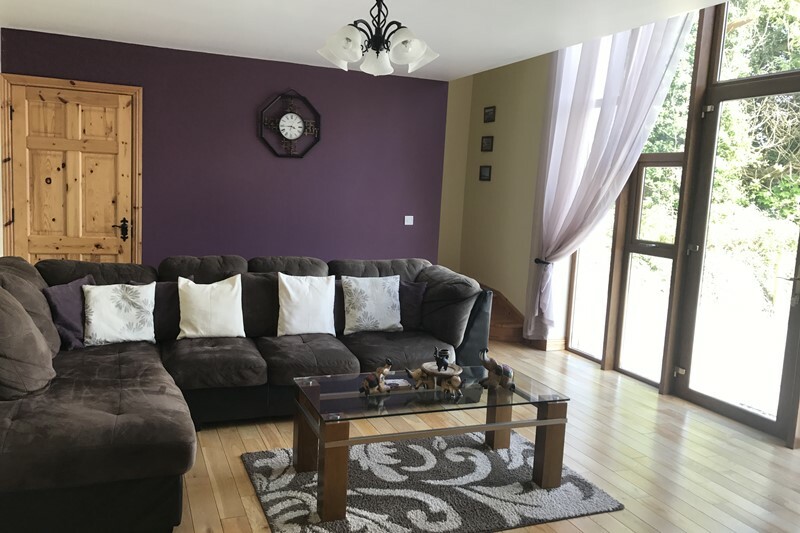 Ballyblood is centrally located 3kms from Tulla village, 15km from Ennis, 25kms from Limerick, 64kms to Galway and 23kms from Shannon airport. 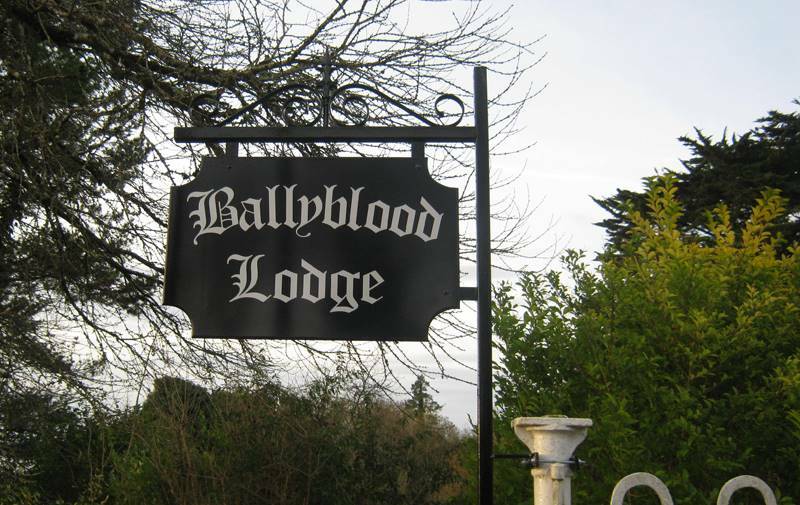 Ballyblood Lodge is recently renovated to a high standard with modern amenities in beautiful, idyllic, peaceful surroundings with magnificent views. 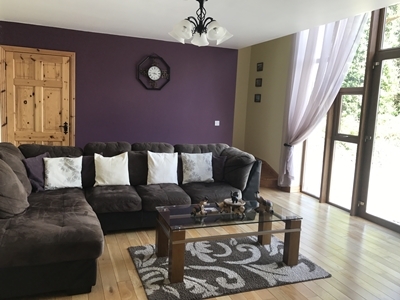 With 3 bedrooms (2 double, 1 twin), it comfortably sleeps 6. 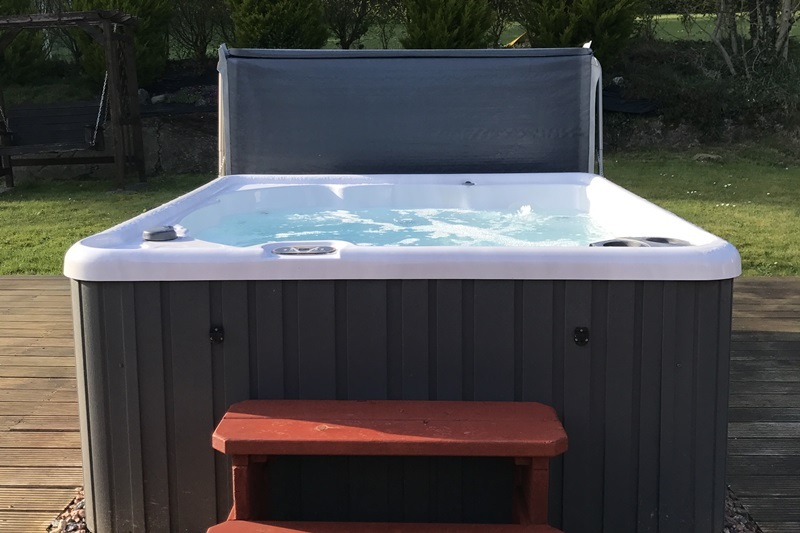 The Lodge is family friendly & wheelchair accessible. 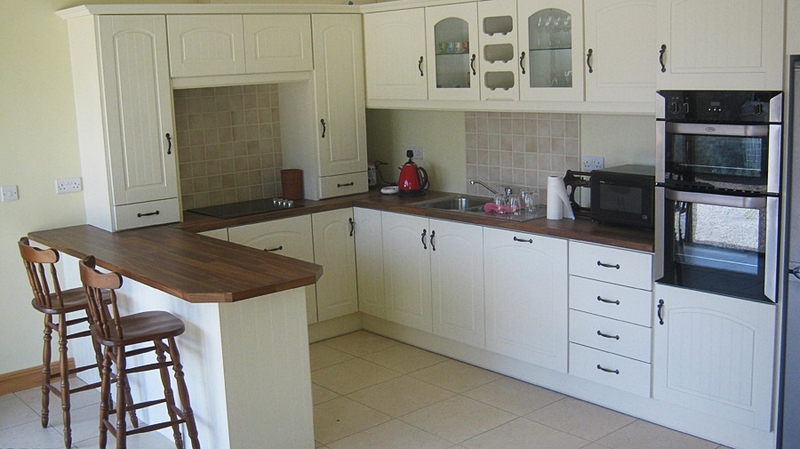 It consists of a kitchen/dining area and sitting room with solid fuel stove. This leads to a lounge area upstairs that is ideal for relaxing or for catching up on business while you are away. There are three bedrooms. The one on the ground floor is a double room, which is wheelchair accessible. Next door to this bedroom is a shower room which is, again, suitable for wheelchairs. There are two bedrooms upstairs. One is a twin room, the other is a double room. There is a bathroom upstairs also with shower. Each bedroom upstairs opens out onto a large deck area. 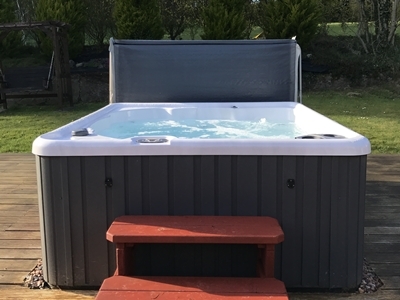 This is fully equipped with a hot tub, table & chairs, parasol and loungers to relax and enjoy the peace and quiet of this beautiful space. Dressing gowns are provided for guests to use while going from hot tub to house. 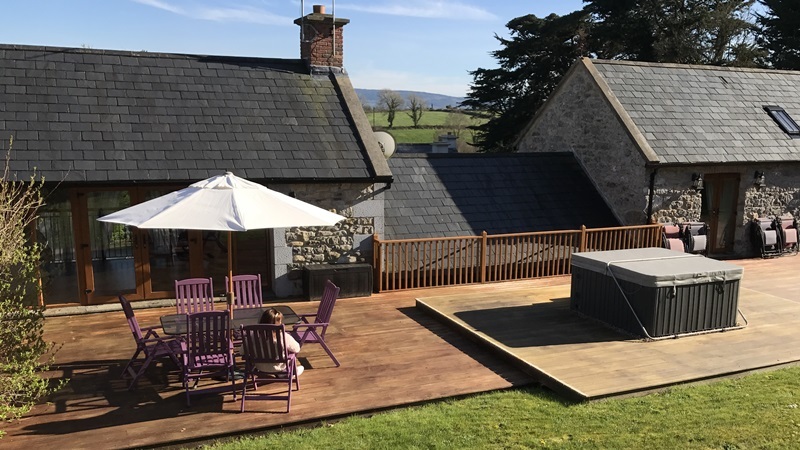 The deck area is also ideal for barbequing and dining with a gas-fired barbeque on site. 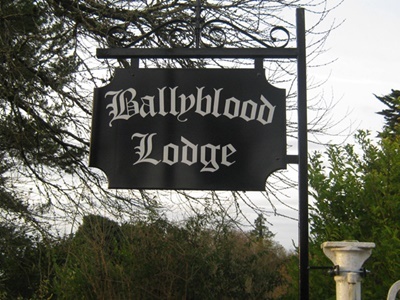 Ballyblood Lodge is situated on the East Clare Walk Route so ideal for walkers, cyclists and nature lovers. There is a selection of bicycles and wellingtons available for guest use along with helmets and bike locks etc. Ballyblood Bog is a working bog and is a ten minute walk form the lodge, enjoy the experience of seeing turf turned and footed and maybe give a helping hand! 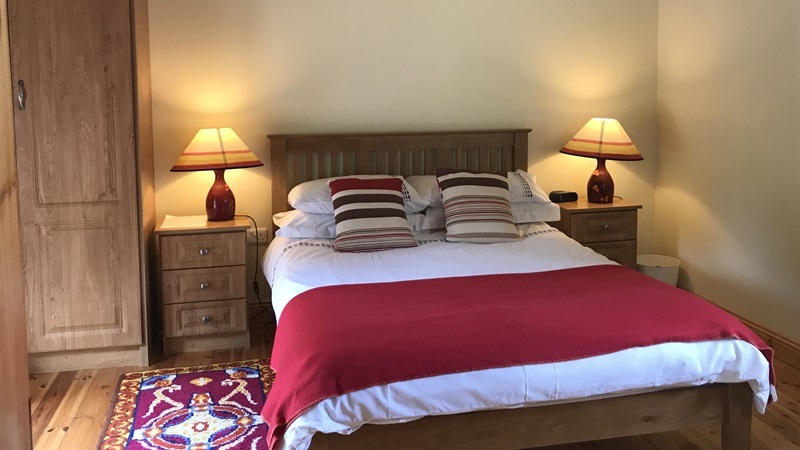 If further space is required, or something a little cozier suits your needs, the recently renovated Granny's Cottage is also on the grounds of Ballyblood Lodge. It is a stone built bungalow with 2 double rooms and has its own sauna. 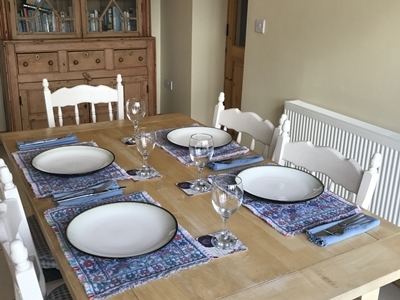 The ground floor with kitchen, dinning, lounge, bedroom and shower-room is all wheelchair accessible. The rooms upstairs open out onto a large patio area with hot tub, lounge areas and barbeque. Ample parking is available in the private driveway of our stunning country lodge. Clothes washing machine provided on site for your convenience. On the ground floor, in the lounge area a TV is provided with all the local services. If you need to stay online, WiFi is provided throughout the lodge.